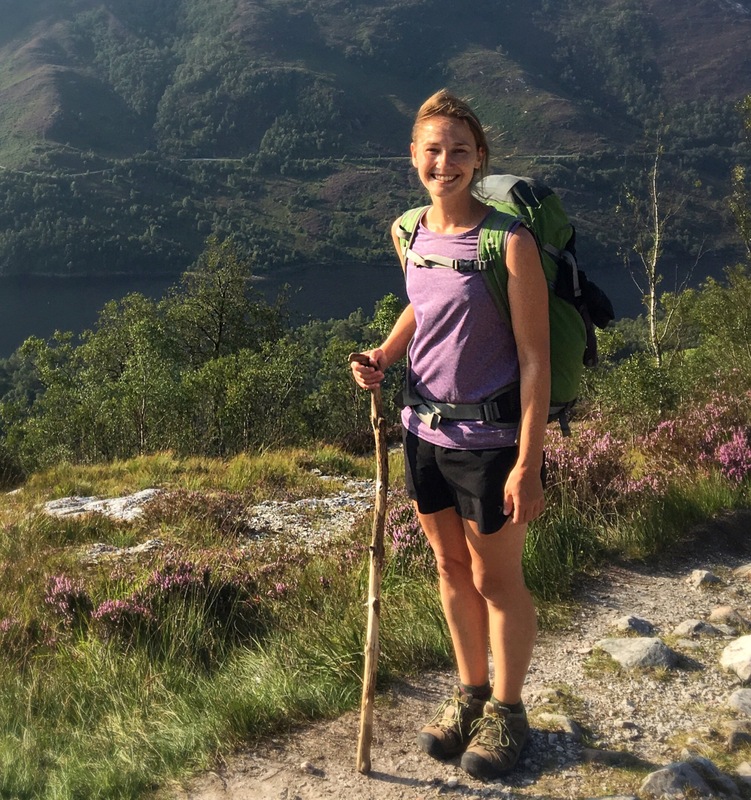 One of my intentions with this blog is to begin to provide more useful content for others who are planning their own long-distance walking adventures, and so in this spirit, I’m going to be writing up a few short guides to some of the walks that I’ve done. 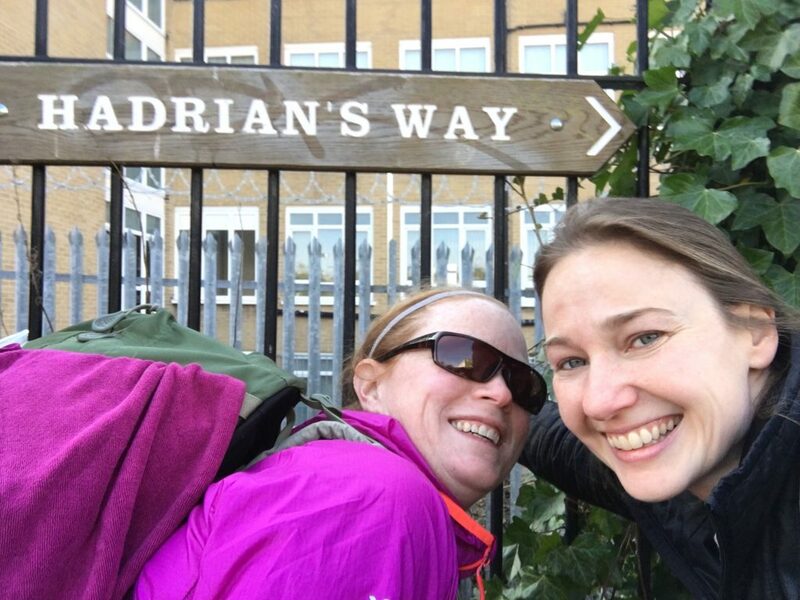 And first up: how to plan for a walk on Hadrian’s Wall! 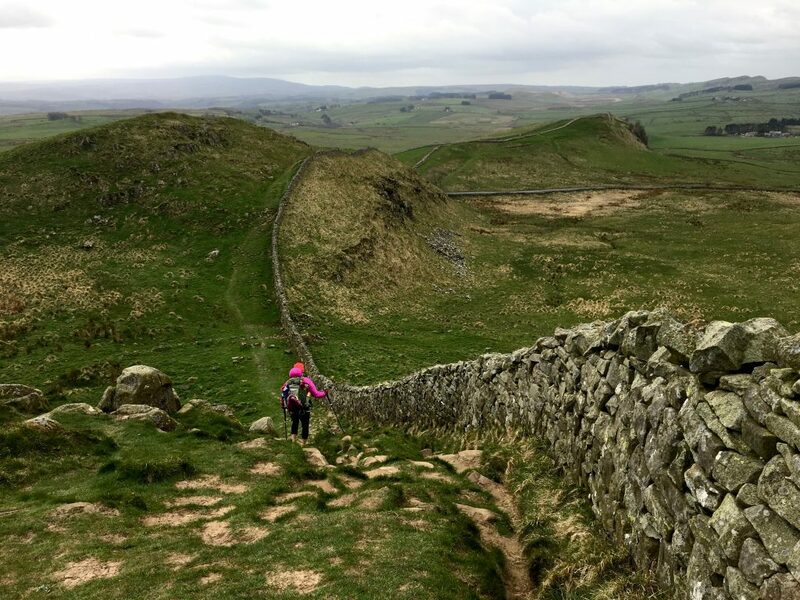 Along with a friend, I walked Hadrian’s Wall Path in the north of England over the course of 5-days in early April, 2017. I loved it. Originally it was a trip that I’d been planning to do solo, but when my friend heard of my scheme she asked to come along, and it was great to have some company. 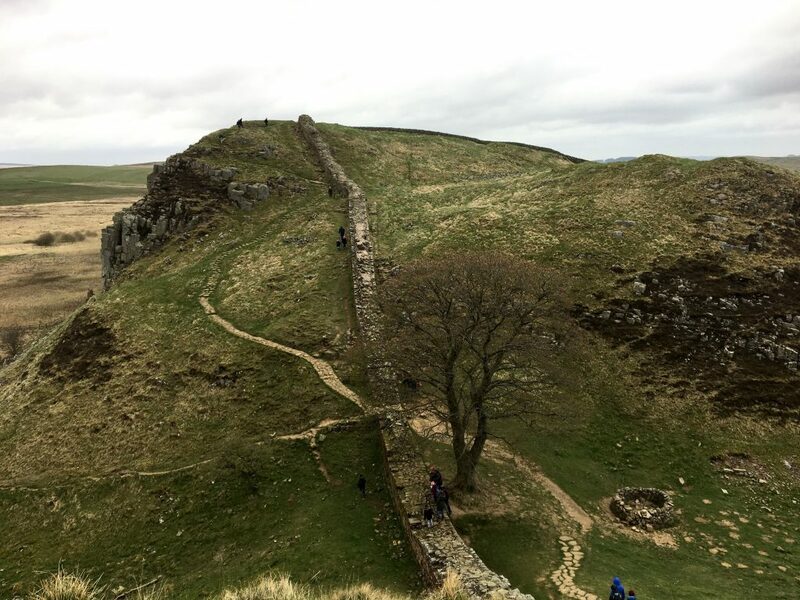 But because I do the majority of my traveling and walking alone, I want to point out that Hadrian’s Wall would be an absolutely fine walk to do solo; it is safe, not too difficult, and the people of northern England were so welcoming and friendly and helpful. 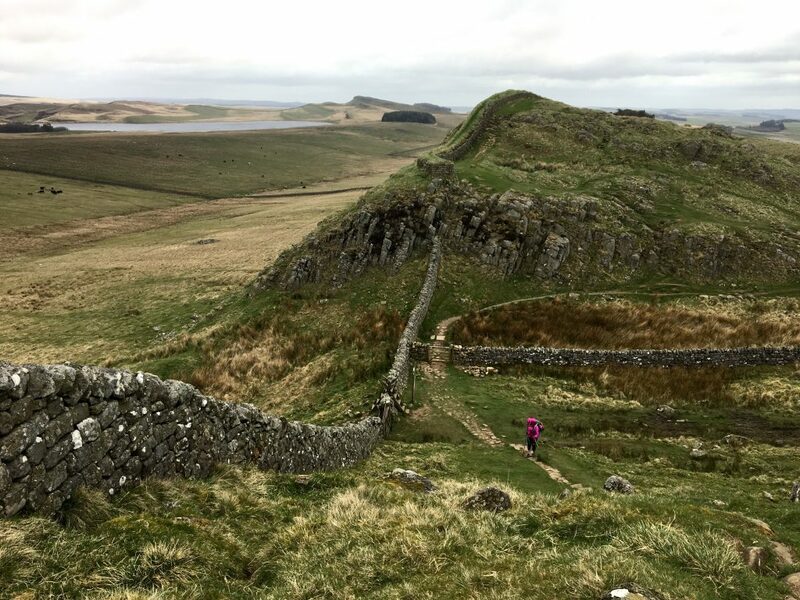 Let’s start here: what exactly is Hadrian’s Wall? 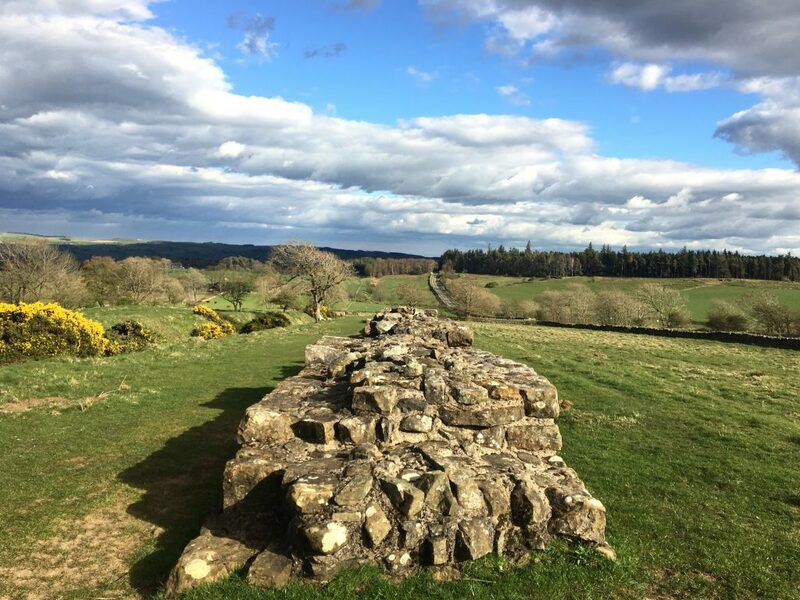 In 122AD, Emperor Hadrian gave orders to build a wall to mark the northern limits of his empire, in order to protect Roman England from the tribes of the north (what is now Scotland). The Wall stretched from one end of the country to the other: 84-miles/135km from Wallsend to Bowness-on-Solway (or, the other way around if walking west to east). This path was designated a National Trail in 2003, and was carefully designed to follow the path of the wall. Only 10-continuous miles of the actual remains of the wall are visible, but these are glorious miles and spotting remnants in other areas of the walk makes it like a fun, centuries old treasure hunt. In its heyday, the Wall was an impressive work of defense: it stood at 20 feet high and 10 feet thick, with a 20 foot ditch on the ‘Scottish’ side, and milecastles, turrets and forts sprinkled along its length to provide extra fortification. There is a long history of how the wall survived and did not survive the centuries that followed, and now what is left is just a trace of what it once was. But the Wall was designated a UNESCO World Heritage Site, and great care has been taken to preserve what remains. How difficult is this walk, and what is the terrain like? There is good variety to the terrain, as well. The aforementioned countryside, wild moorland, and the vibrant and bustling cities of Newcastle and Carlisle. The way marking is thorough and frequent (plus, the Wall itself is an excellent way marker), making it very difficult to get lost. You mentioned walking this route anywhere between 4 or 8 days. What’s the recommended number of days? I think this answer depends on what you’re looking for in your experience, as well as any time constraints you may have. My friend and I did the walk in 5 days, and while this was very do-able, it made some sections challenging. Ideally, I would have liked 6 days for the walk, with this extra day I would have felt more comfortable taking time to linger at the forts, or to examine the wall for inscriptions. Another factor to consider is the type of accommodation you want for your journey. My friend and I did a combination of hostels, bunkhouses and B&B’s, and this gave us plenty of options in terms of how we wanted to break up our stages. From most of the information I’ve seen, the first and last stages are nearly universal (due to lodging restrictions): Wallsend to Heddon-on-the-Wall at 15 miles, and Carlisle to Bowness at 15 miles. The middle stages are where it’s easier to play around and devise them to your liking, and these are the stages where you’ll be walking alongside sections of the Wall, so they are the most interesting and you might want to do smaller mileage to take in their splendor. What’s the food situation like? For most of the walk, finding food to eat (and sometimes very good food!) will not be a problem. 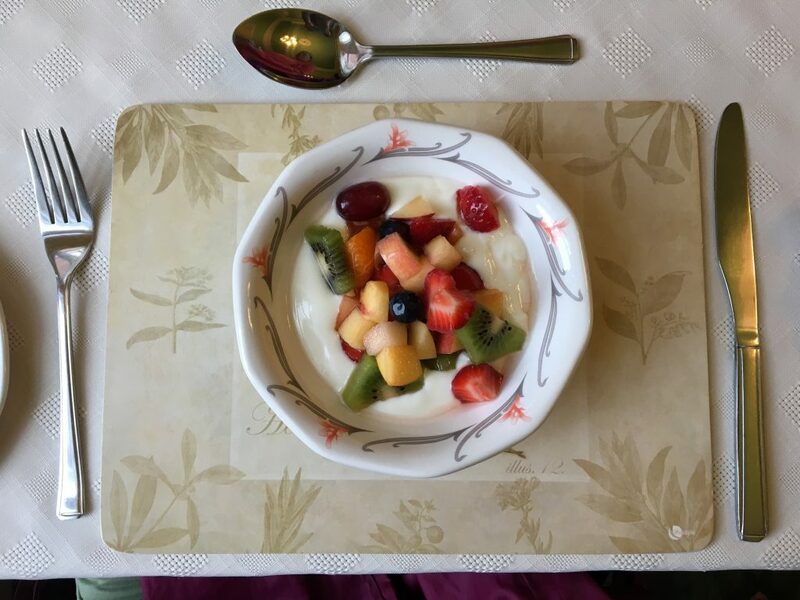 All B&B’s and most bunkhouses will provide breakfast (free or for a fee, depending on the type of lodging), and this tends to be very good: from full English breakfasts to fried egg sandwiches. 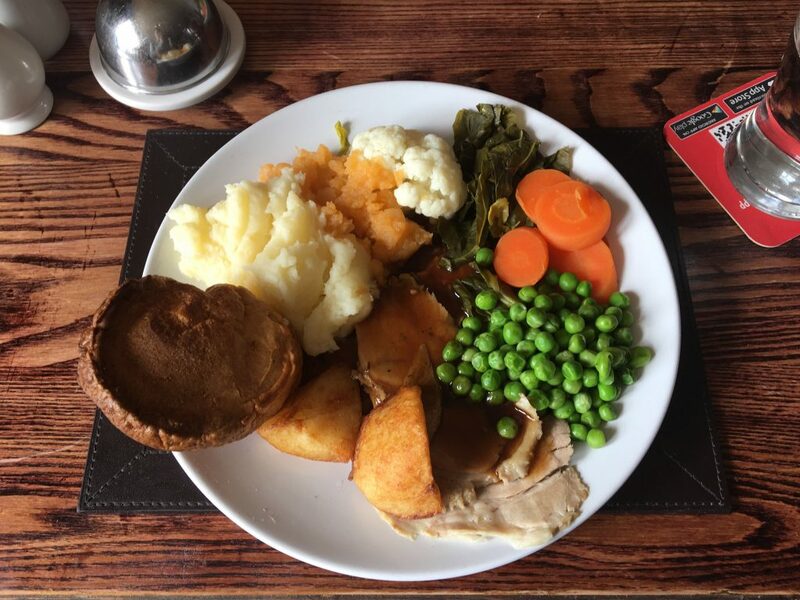 We were able to eat at a pub or restaurant on all but one night, and on that night, our host at Slack House Farm cooked us a hearty and filling dinner. Some days we passed through a village with a pub where we could stop for lunch, on other days we packed items with us and had picnics (one day our guidebook promised not one, but two open spots for lunch, but we arrived to find each location closed). I think it would always be wise to have a backup of food in your pack, but this is not a route where you have to carry 3 days worth of food with you. What is the weather going to be like? Isn’t the north of England supposed to be very… wet? Rain is going to be a factor regardless of the time of year that you walk, though in the summer (particularly July) there is a better shot at more sunshine and less water falling from the sky. The typical Hadrian’s Wall season is from Easter until the end of September/beginning of October; any later or earlier than this and you’ll find that many B&B’s and bunkhouses will be closed. Winter is not an advisable time to walk the path, in fact it’s encouraged that you don’t walk during this time, in order to give the path a rest and to prevent damage. I had great luck on my springtime walk; we had one morning of steady rain, and another full day of heavy gray clouds and a lot of wind, but otherwise cool-to-almost-warm temperatures with plenty of sunshine. 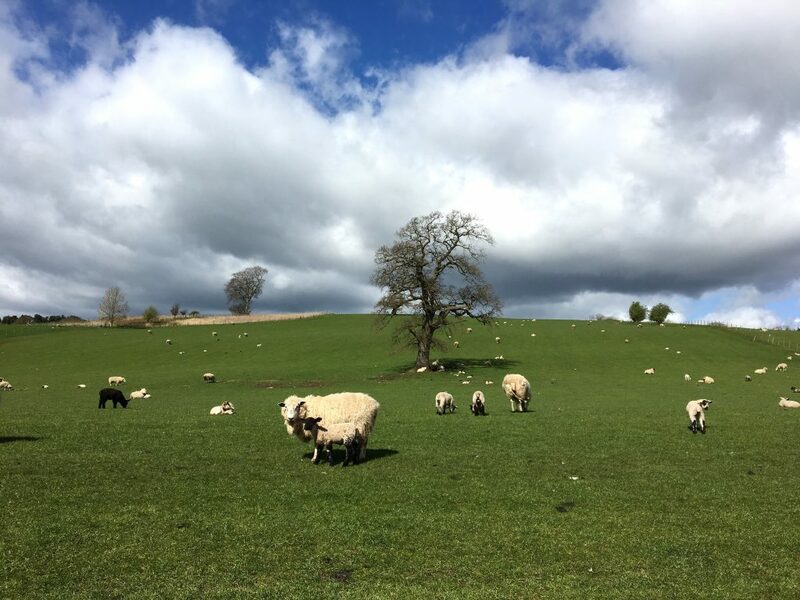 Flowers were coming into bloom and baby lambs were being born before our eyes (quite literally, so be prepared for that), and I can imagine that later in April and into May would be an even more stunning time to walk. Speaking of all this rain, what am I going to need to stay (somewhat) dry? 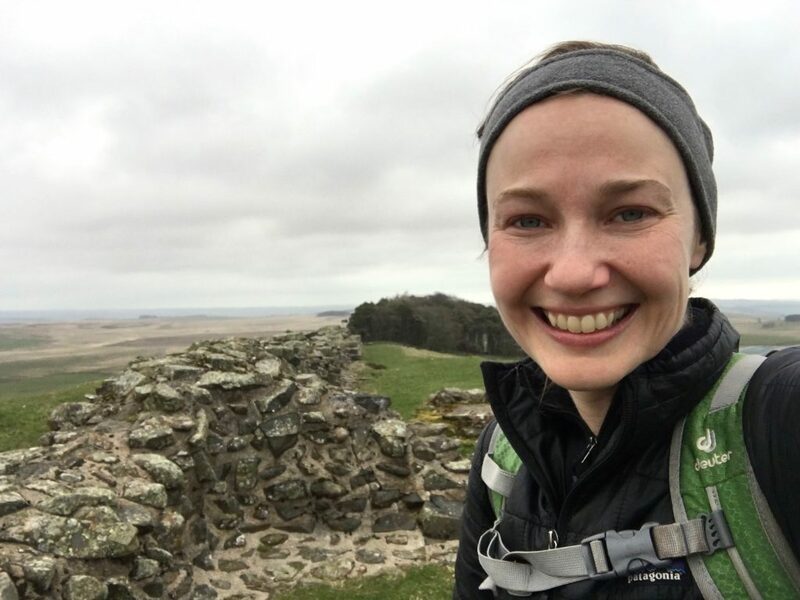 I’m going to link here to my Camino packing list, which is very similar to what I took on my Hadrian’s Wall trip. It’s easy to go light and carry only what you need: a couple hiking outfits, an evening outfit, a sleeping bag liner (hostels and bunkhouses all had sheets and blankets on the beds), basic toiletries, etc. (See the packing list for more detail). But being that this was the first time I was walking in the spring, I did need to make a few additions to this list. In addition to my rain jacket (a Marmot PreCip , which I love), I added a pair of rain pants (also Marmot, because I had such good luck with the jacket. They’re not the most flattering, but then again, a long walk isn’t a fashion show). These pants worked perfectly over a base layer for my legs (fancy way of saying long underwear? ), keeping me warm and dry. I also brought along a pair of Crocs rather than my usual flip flops, so that I could sport the very classy look of Crocs and socks in the evenings (and then just the Crocs as shower shoes). I also brought a Smartwool top that kept me cozy on the windy days, along with a light and packable insulated jacket and a headband to cover my ears (a hat would work fine too). I didn’t bring gloves, but I think they would have been useful. The rain jacket and rain pants really worked well on my morning of heavy rain, and I also used my buff to cover my head/hair so water wouldn’t drip down my forehead. Some people bring gaitors, and maybe if we’d encountered more rain they would have come in handy, but I didn’t find a need for them. My hiking shoes (Keen’s Voyageurs , I can’t sing their praises enough!) are water resistant, not waterproof, but I’ve found that they do an amazing job in the rain and tend to keep my socks fairly dry (unless walking for hours in a downpour. Then, nothing will keep the water out). 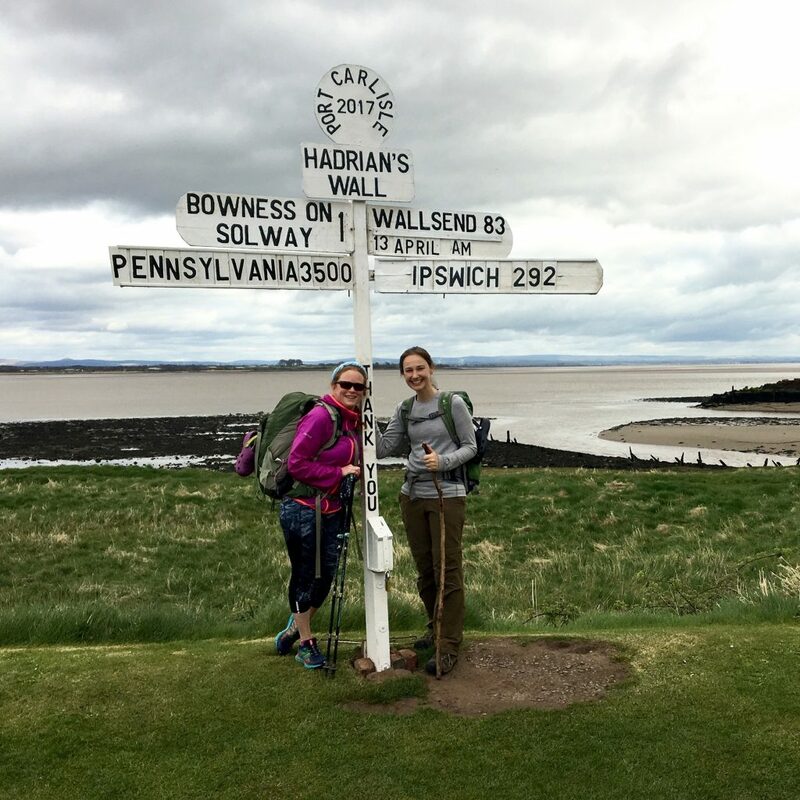 *Most guidebooks will orient the walk from east to west, beginning in Wallsend and ending in Bowness. This is the direction my friend and I walked, and generally I just really like the idea of moving east to west. However, you might want to consider the benefits of walking in the other direction, from west to east. First of all, and maybe most importantly, the wind will be at your back, rather than blowing straight into your face. Not only is this less of a nuisance, but it will actually make it much easier to walk, without having to fight against the wind (I’m convinced this is why our 15-mile Day 3 took so long and felt so difficult). Secondly, I think it’s possible that you get a better view of the wall from this direction. Our views were fine, but often I found myself turning around, saying “Wow! !” and snapping a photo. 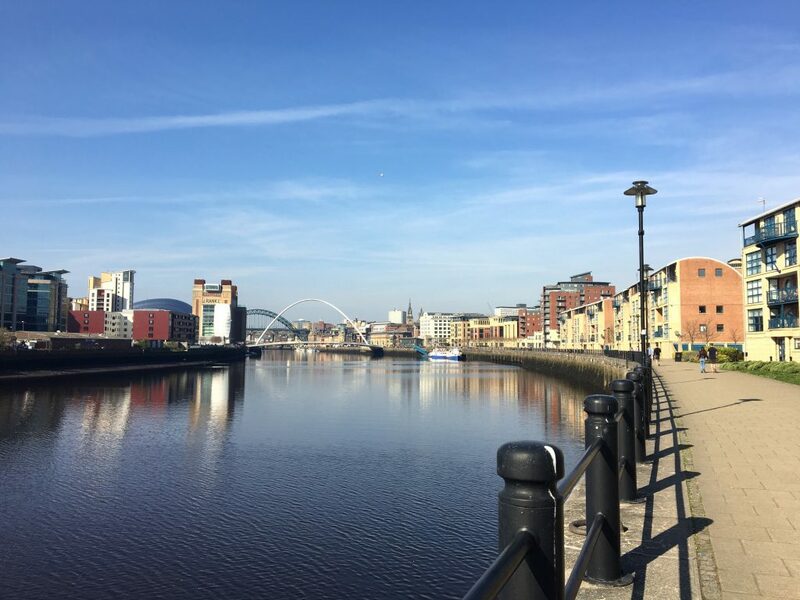 And, finally, you would end the walk just outside of Newcastle, which could make for a very comfortable and celebratory city to spend your last night in. 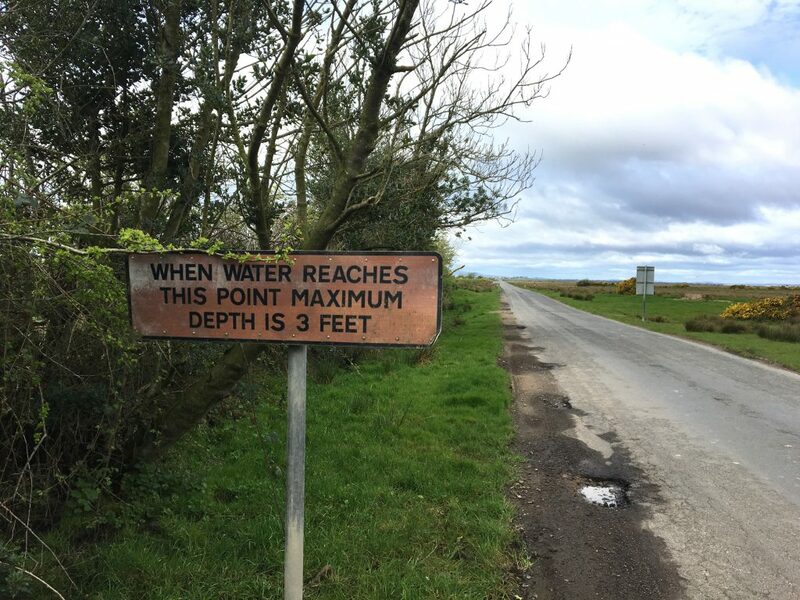 *Don’t forget to consider the tides when you get to the Solway marshes on the last section (or, possibly, first section) of your walk. This stretch of the walk is at sea level and when the tide is in, the trail can be completely underwater (and, possibly, knee to waist level making it dangerous or impossible to walk). Tide charts can be found here (and guidebooks will direct you to tide charts as well). *Don’t miss the Robin Hood Tree (unlike me, who was so focused on the walking that I passed by this large tree filmed for the movie ‘Robin Hood’ and just thought, “Oh, that’s a nice tree”). It’s actually rather hard to miss, given that there are lots of tourists around this section of the trail and tons of people taking photos of the tree. Also, take some time to read the plaques and maybe pay a visit to one or two of the forts along the way. Walking in an area with such a rich history makes this long-distance trail different than any other I’ve walked. *Keep an eye out for Roger, an elderly man on a bicycle when you arrive in Port Carlisle, just a mile outside of Bowness-on-Solway (the end of the walk for most). He mans a large sign and changes out the cities and mileages for everyone he meets. Turns out, Philadelphia is approximately 3500 miles away from Port Carlisle. This is a great place for a celebratory photo, just be sure to leave Roger a coin or two for his services (and if you’re not interested, it’s totally fine to just keep walking right past). *Respect the Wall. This is an important one: it may be tempting to walk on sections of the wall, or to take a selfie perched on top with arm raised in victory. Don’t do it. The Wall is nearly 2000 years old, and it amazes me that it was so well built that some parts have survived this long. But it is not immune to destruction and the more that humans interfere with it, the most risk it has of crumbling to pieces. (Alas, I was so tired at the end of one walking day that I accidentally walked across part of the wall. There was even a platform so people wouldn’t have to step on it but in my fatigue I passed through the gate and just bypassed the wooden platform altogether. Picture as evidence of my crime). 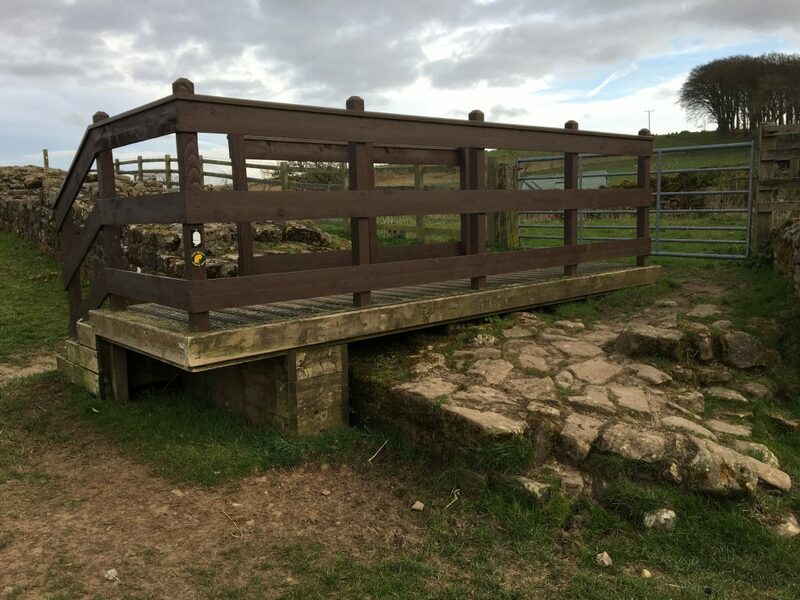 -I used Henry Stedman’s Hadrian’s Wall Path: British Walking Guide for my trek. It orients the walk from east to west (so be prepared for that if you are planning to walk in the other direction), and the hand-drawn style of maps have a lot of detail and are easy to follow. Overall I was pleased with this guide, but be warned, some of the villages you pass through on this walk are really small, and a pub that might have been opened when the guide was written could now be closed (grr, Stag Inn). I hope some of this information may be useful to you, and please let me know in the comments or by using the Contact Form (at the top of this blog) if you have additional questions.